Chicago, a city known worldwide for its planning and design, will have its first-ever graduate degree in city design when the University of Illinois at Chicago launches a new program next fall. The master of city design degree, based in the College of Urban Planning and Public Affairs, will offer an interdisciplinary learning experience that blends elements of architecture, landscape architecture, urban studies, urban planning and other creative fields. Students will experience intensive city-based courses and studios that provide immersive exposure to integrated design and contemporary professional practice. 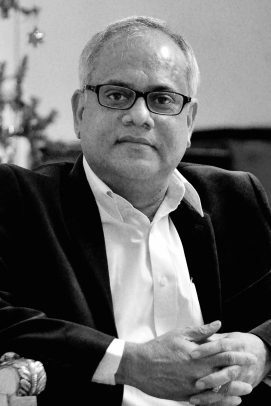 Serving as director designate for the program is Sanjeev Vidyarthi, whose own training and professional experience combines architecture, urban design and spatial planning. Sanjeev Vidyarthi, UIC associate professor of urban planning and policy and director designate of the master of city design program. “The master of city design program not only showcases the university’s Great Cities Commitment, but is also well-positioned to produce reflective designers equipped with cutting-edge knowledge and skills to face the complex challenges of an increasingly urban world,” said Vidyarthi, associate professor of urban planning and policy. The program will prepare students for career opportunities at planning and design consulting firms and related work with governments, foundations, community organizations and public sector agencies. It will also enable them to gain acceptance to doctoral programs in urban planning and design. Graduates of the program will be desirable to prospective employers for their “ability to conceive urban public spaces and civic improvement projects by focusing on the physical design aspects of spatial relationships and interactions between people and places,” Vidyarthi said. The program’s courses will be taught by faculty and urban scholars from UIC research centers such as the Great Cities Institute and Voorhees Center for Neighborhood and Community Improvement, and accomplished practitioners from Chicago’s leading design firms. The 38-credit-hour degree can be completed in one year of full-time study. Applications are due Feb. 15 for international applicants and March 15 for domestic applicants. To be considered for a limited number of departmental scholarships, applicants should apply by Jan. 15. 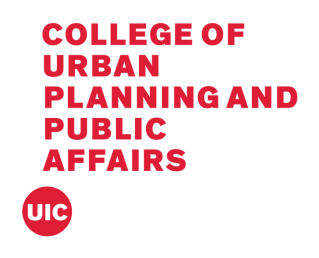 In addition to the new degree, the College of Urban Planning and Public Affairs offers two bachelor’s degrees in urban studies and public policy, along with master’s and Ph.D. degrees in urban planning and policy as well as public administration. Certificate programs in geospatial analysis and visualization, and public transit planning and management are also available. More information about the master of city design degree is available online or contact Vidyarthi at svidy@uic.edu or (312) 355-0309.